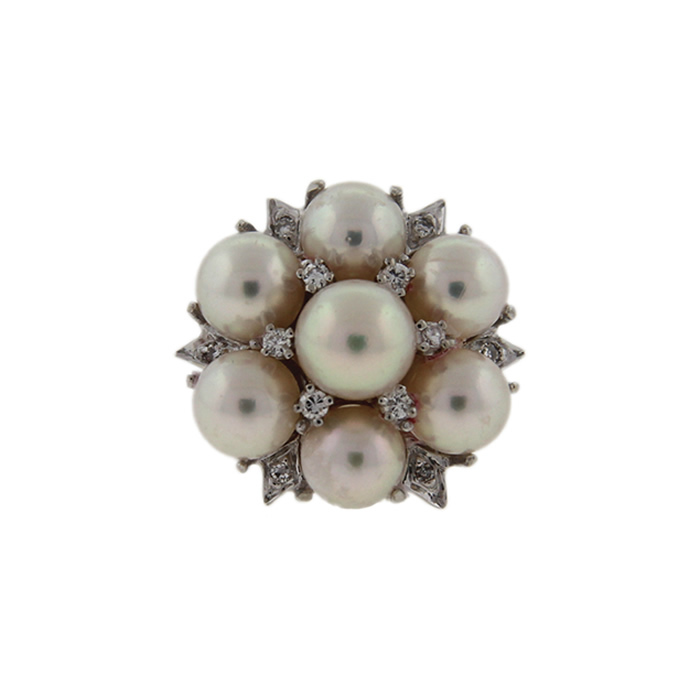 A beautiful mid-century bauble! 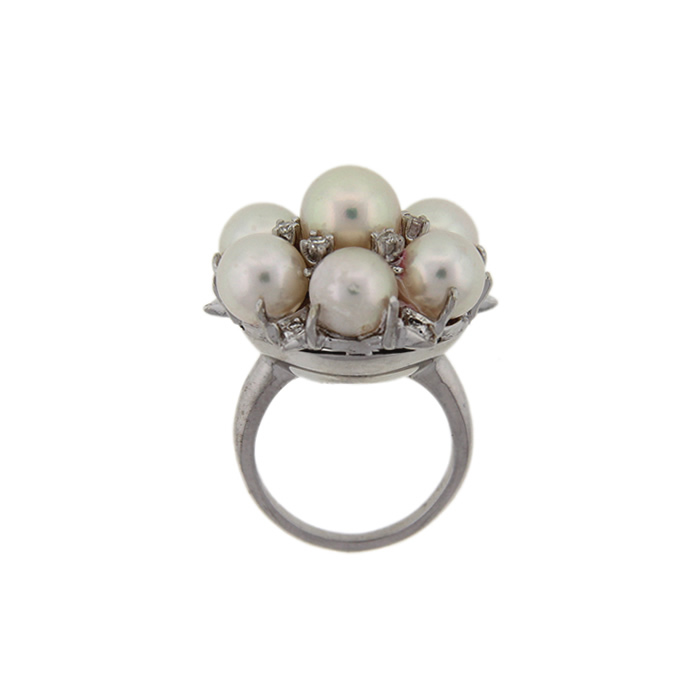 This pearl and diamond cluster ring is crafted in 14k white gold. 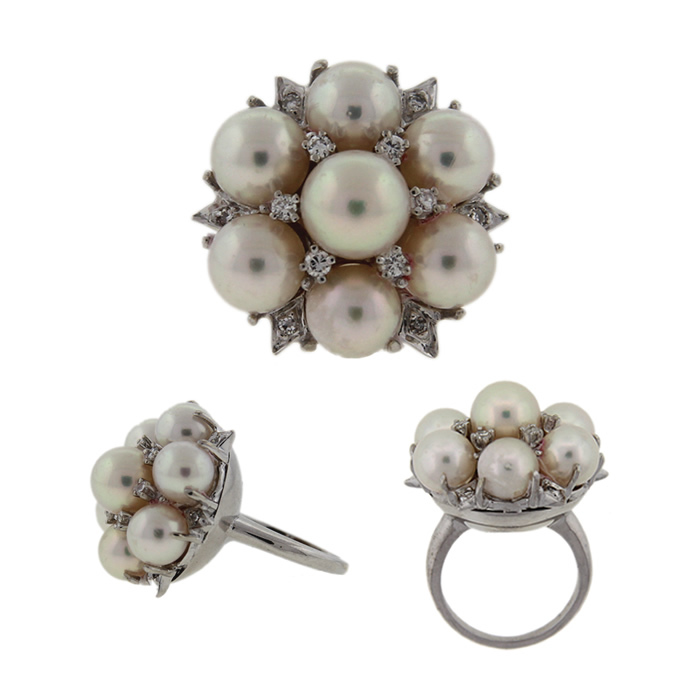 Seven creamy cultured pearls are accented by 0.24 ct. t.w. of bright round diamonds. 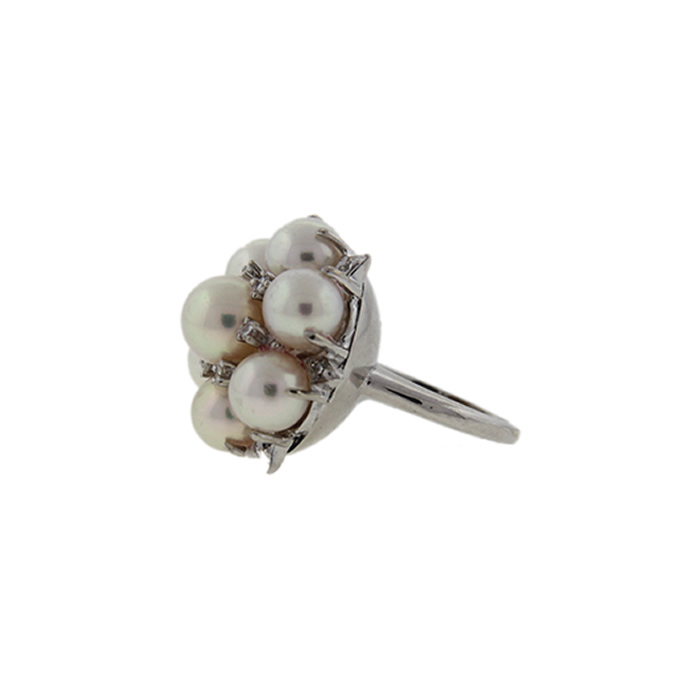 This ring would make a great statement piece to add to your collection or the perfect gift for a June or April birthday!